Tightwad has seen this around in high end grocery stores and bakeries, and she thinks it looks real nice. 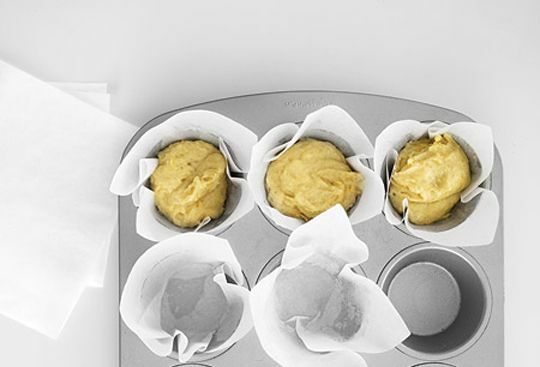 Instead of using run of-the-mill tired ol' muffin tin liners, why not cut out some squares of parchment paper to line your tins instead? Kick things up a notch! Bam!